Asbestos Testing & Inspection Services in Irvine, Ca! Asbestos Testing in Irvine, Ca. Testing for asbestos can involve sampling the air, surfaces or both to determine if asbestos fibers are present. Any areas of concern can be tested for its presence. A complete report of findings is produced and includes laboratory results combined with the on-site analysis and any equipment readings taken by the inspector. Commercial and residential asbestos testing in Irvine, Ca. Asbestos testing service in Irvine, Ca, provided by Occutrain is unique depending on the property type, size, the situation and the client. While some services may seem straight-forward, each will be approached uniquely by the inspector at the time of the appointment. 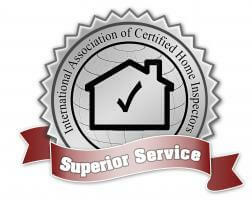 When we arrive at your property in Irvine, Ca, we will address the concerns as presented by you and the property as it appears to the inspector. Everything will be explained by the inspector at the time of the appointment.